HE Land Transportation Franchising and Regulatory Board on Thursday granted a provisional PI increase in bus fares in Metro Manila. 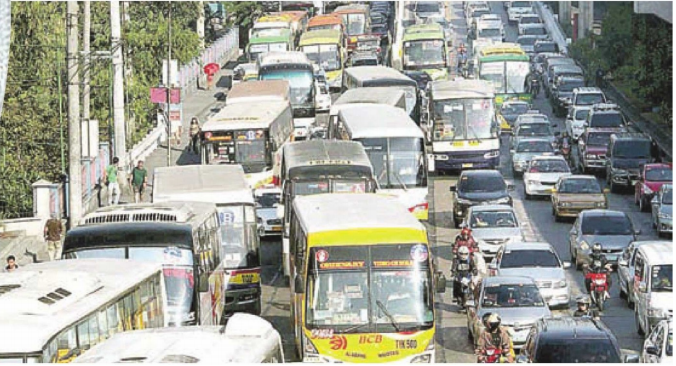 The fare adjustment, which comes amid recent increases in the cost of fuel, will bring the minimum fare to P11 from P10 for ordinary Metro Manila buses and to P13 from P12 for air­conditioned buses. The rate for the succeeding kilometers will remain at PI.85 for ordinary buses and P 2.20 for air­conditioned buses. For provincial buses, the fare for ordinary buses remains at P9 for the first five kilometers while the rate for the succeeding kilometer will increase by 15 centavos from P1.40 to P1.55. The fare hike will take effect 15 days after the publication of the decision in newspapers of general circulation. Earlier, the LTFRB also granted a minimum jeepney fare of P10 to take effect in November in the National Capital Region, Central Luzon and Southern Luzon, raising the minimum fare from P8. "The board is not insensitive to the current economic situation of the country brought about by an escalating inflation rate, devaluation of the Philippine currency and continued increase of oil prices in the world market," the LTFRB said in its decision, signed by Chairman Martin Delgra III and board members Ronaldo Corpus and Aileen Lizada. The board noted that the average price of diesel in the countiy has increased to around P47 this year from P35 when it last issued an order for a fare increase in 2011. The year­ on ­year inflation rate in the country has increased from 2.9 percent in 2017 to 6.7 percent in September this year, according to the Philippine Statistics Authority. The LTFRB reminded bus operators that students, senior citizens and persons with disabilities are entitled to a 20­percent fare discount. The petition for the fare increases was filed by the Southern Luzon Bus Operations Association, Nagkakaisang Samahan ng Nangangasiwa ng Panlalawigang Bus sa Pilipinas, and Samahang Transport Operators ng Pilipinas, citing fuel price hikes and high costs of acquiring new buses in compliance with the Public Utility Vehicle Modernization Program. Socioeconomic Planning Secretary Ernesto Pernia warned that the fare hikes would have an impact on inflation. "Anything that increases the cost of service increases inflation," Pernia said on the sidelines of the EU-­Philippines Business Summit. on fuel next year was not enough. "Suspension should not be enough. Let us absolutely remove the excise tax on petroleum under TRAIN Law," he said, referring to the Tax Reform for Acceleration and Inclusion law. "Filipinos are drowning due to high prices, especially drivers of jeep, tricycle and other PUV." LTFRB also granted a minimum jeepney fare of P10 to take effect in November in the NCR, Central Luzon and Southern Luzon—despite the absence of increase in workers 'wages.